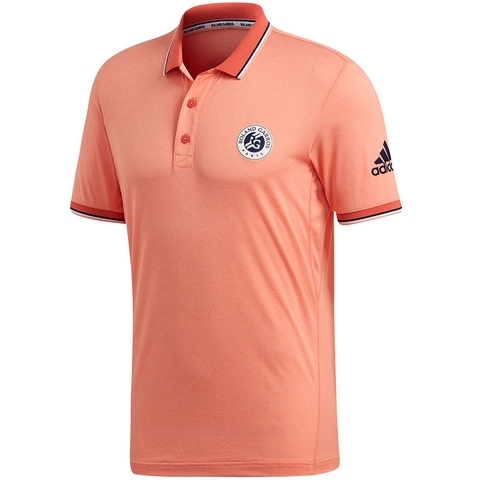 Radiate Parisian style as you spray winners around the court in this men's tennis polo shirt. 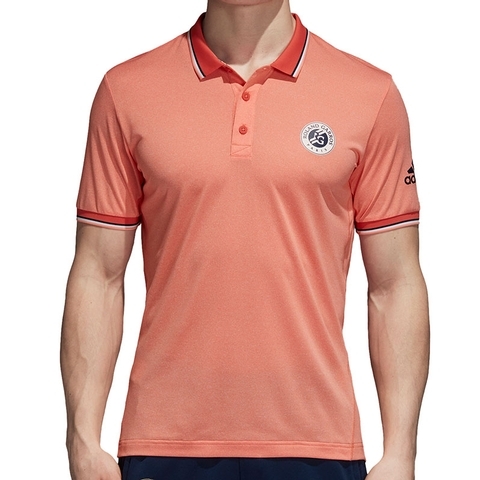 Featuring a tricolour collar and displaying a Roland Garros logo, this top has underarm inserts to accommodate the most expansive game. 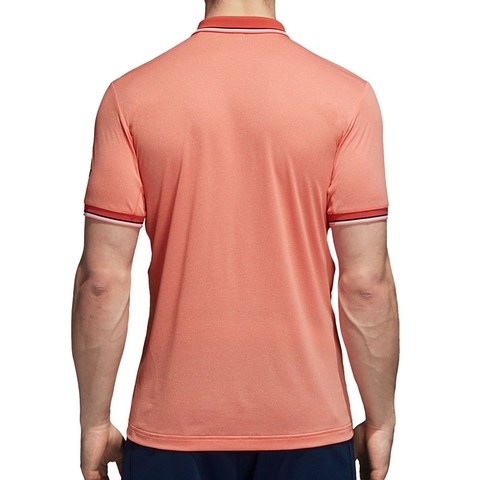 It is made from Climalite fabric that sweeps moisture from your skin. 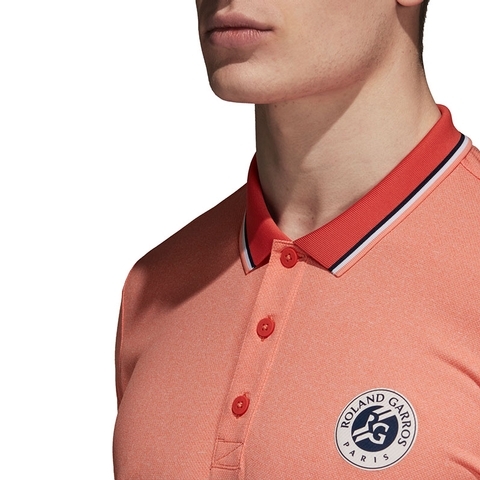 Tricolour polo collar with button placket. Underarm inserts for freedom of movement. 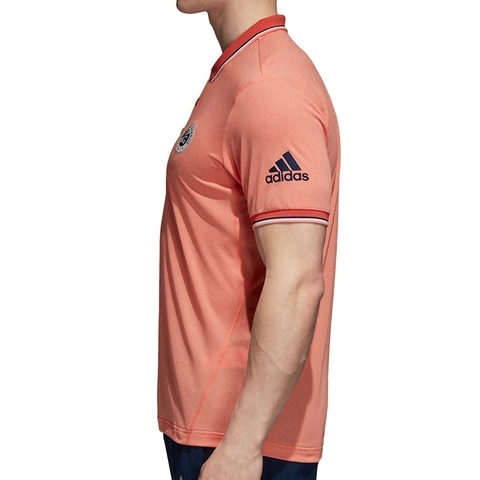 Tricolour trim on sleeves. Curved hem. 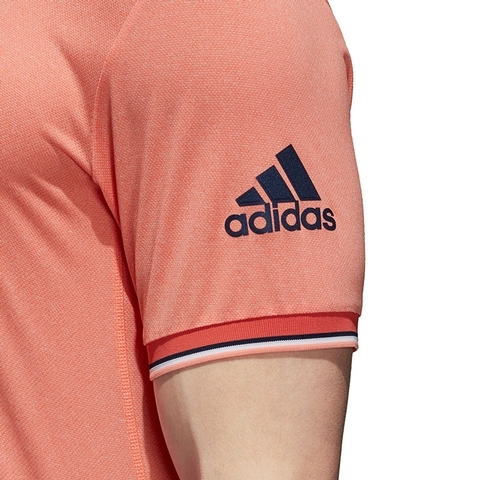 Roland Garros logo on chest; adidas Badge of Sport on sleeve.